I Worry About Draining My Battery. How Can I Minimize This? There are a few things we can recommend to help you out. 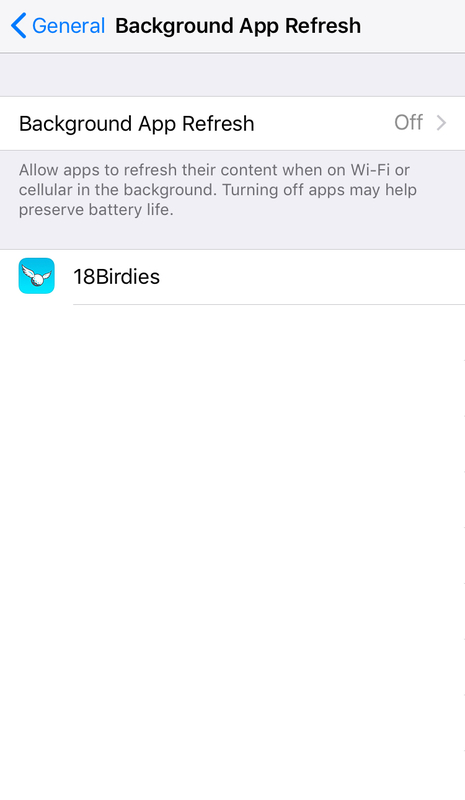 Make you close all other apps before you start your round with 18Birdies. Once you use the app, make sure to flip back to the scorecard so the GPS isn’t the active screen. You can also press the lock screen button to save power when you are not using the app.